Long gone are the days that property buyers wish for a house and settle for an apartment. The young, the old and everyone in between are increasingly opting for a way of living on the more compact side. What does an apartment have that a house doesn’t? The answer is plenty. New developments can have some enviable facilities, like swimming pools, gyms, and saunas, as well as lovely manicured gardens and picture-perfect rooftop spaces with incredible views. Aside from the savings you can make on leisure centre memberships and entrance fees, there is something to be said for the convenience of having desirable commodities literally at your doorstep. While we’re on the topic of amenities or common property, it’s also worth noting that you don’t personally have to maintain any of these areas. Forget spending weekends cleaning the pool, mowing the nature strip or waiting around for contractors to make repairs – your owners corporation or body corporate will take care of it, and often enlist the help of a strata or owners corporation manager to make sure reputable, certified contractors are hired and everything operates smoothly. Find out what makes a good strata manager here. 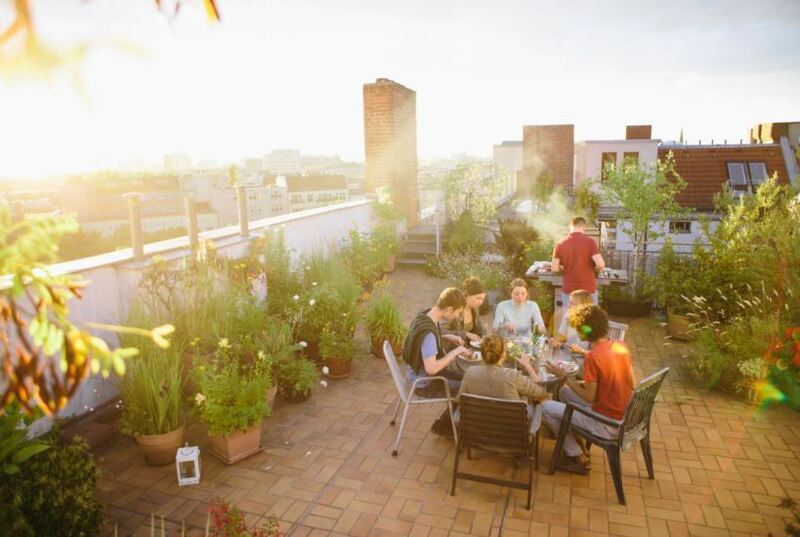 When you live in an apartment, you live in close proximity to your neighbours, allowing you to form close relationships. If it’s not in the hallway, you’re bound to run into each other in the car park, the lift, the gym or at the pool on the weekend. When things go wrong, you also have each other to lean on. You can voice any issues or concerns you have with your committee or speak to your strata manager for advice concerning the property. Not only are apartments typically cheaper than houses, the smaller footprint means your utilities are less too. Even better, eco features once considered too expensive are now standard in many new apartment complexes, so you reduce your carbon footprint and save on energy consumption in the long term. Also, for all those shiny extras you get in an apartment – the pool, movie room or sauna, for instance – you only have to pay for a portion of the full operating price, with fees split across owners. Not everyone wants to compromise on location when they buy a property, and with apartments, you don’t always have to. Many new developments are built in thriving suburbs close to life’s simple pleasures: cafes, restaurants, retail and event spaces. Plus, buy higher up and you can enjoy a view your friends and family will admire and envy. There are more new apartment complexes with slick architectural designs than ever before. These buildings don’t only look good, but typically have greater functionality too, and can boast sustainability features such as solar panels, green walls and roofs. Now consider the cost of hiring an architect, as well as the time and labour involved, for a single household and it feels like a luxury. With an apartment, however, you can have an architecturally designed home without lifting a finger.